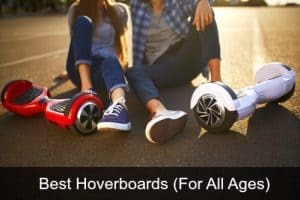 Best Hoverboard Black Friday Deals 2019 - Crazy Discounts & Savings! Hoverboard Black Friday and Cyber Monday deals are the best prices available at any time during the year, which is great as a hoverboards make an awesome Christmas gift for both kids or adults of all ages! This is THE biggest shopping day of the year, particularly for electrical items and this year its on Friday 29th November. Of course Cyber Monday will be the following Monday and comes with its own discounts, but some sales start early and will carry on until the end of the month. 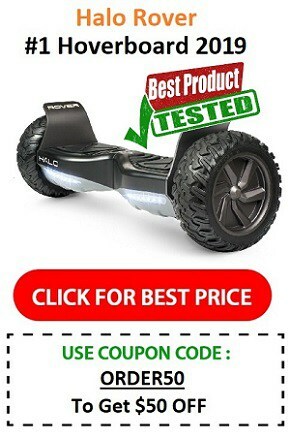 Here on BestElectricRides.com we do our research to find you the best Black Friday hoverboard deals for 2019. Hoverboards were the breakout product of 2015, and since then have been THE must have toy for kids (and adults) at Christmas. They continue to be super popular, with a whole new generation of better quality, UL certified, safer hoverboards on the market since in 2019. Many of those who bought in the beginning unfortunately were left disappointed when it was revealed that their hoverboard purchases were potentially dangerous – since 2016 that’s no longer an issue with the new UL certification (which you absolutely MUST look out for if you want a safe, high quality hoverboard. In case you’re still worried see our article about hoverboard safety. What hoverboard Black Friday deals can we expect this year? We don’t yet know what the best Black Friday and Cyber Monday hoverboard deals 2019 will be, but by taking a look at the brands that were reduced last year, we predict that Swagtron will be another top seller this year with some decent deals on their range of hoverboards. Swagtron has the T1, T3, T5, T6, T8, T380 and T580 on the market this year, and should have some awesome discounts. 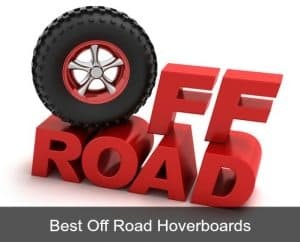 When it comes to hoverboarding they have something for everyone, whether you’re looking for a bluetooth hoverboard, an off road hoverboard or just a cheap starter scooter for a little one. 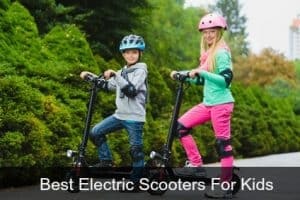 They also have a nice range of other electric rideables including electric scooters, skateboards, ebikes and more. 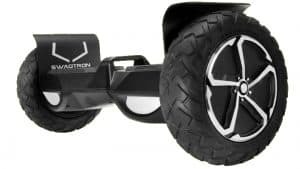 Swagtron are one of the biggest brands in personal transportation in 2019, and like they did in previous years, they will be offering some sweet deals on hoverboards again this Black Friday and Cyber Monday. Swagtron’s most popular products are their range of hoverboards, but they also have the Swagcycle, Swagger Scooter, Swagboard electric skateboard and more. 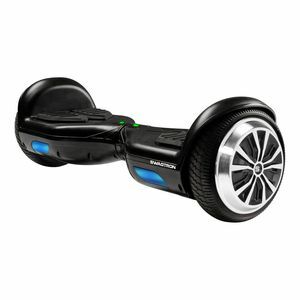 The Swagtron T580 was released in time for Christmas 2017, and like the T5 and T1 in 2016, this was a very popular choice for hoverboard buyers during the holiday period. Priced at $199.99 on the official website, this is a very good deal considering that it has both Bluetooth, and Swagtron app connectivity. Neither the T1 nor the T5 have either, so this hoverboard is a no brainer! Plus the new T580 has a higher max load (up to 220lbs) and a higher max speed than the entry level T5, so its better all round and more suited to users of all ages. For Black Friday and Cyber Monday in 2018 it was reduced to just $199 but it might be reduced further this year. The Swagtron Swagboard Twist T881 has made its debut appearance in 2018 just in time for Christmas, and at this low price is likely to become one of their hottest selling hoverboards of the holiday period. This is a lithium free hoverboard so anyone still worried about issues with lithium batteries needn’t be with this hoverboard. This is marketed as a kids hoverboard though so if you’re looking for something that the adults can join in with too go for the T580 instead. The Swagtron Swagboard Pro T1 came on the market in 2016 as the Swagtron T1 and quickly became one of the top selling models as it was one of the first to be UL certified. It’s still popular today and has been rebranded as the Swagboard Pro. Check out the reviews and you’ll see that its highly rated, although unlike the T580 it doesn’t have bluetooth or app. Which Swagtron should you buy? The Swagtron T6 with its 10″ wheels and all terrain tyres can navigate a variety of terrains with ease, including sand, grass, gravel and more. It also comes with bluetooth and access to the Swagtron iOS and Android App. So if you’re looking for an off road option, this is the one to buy. The Swagtron T580 was their most popular model overall last year and looks set to be just as popular this year, although they may bring out a new model in time for Christmas. This also connects with the app and has bluetooth, but is a standard 6.5″ hoverboard more similar in looks to the T5 and T1 but with extra features. It’s a great price for a bluetooth hoverboard and it gets good reviews. Since the Razor Hovertrax 2.0 came on the market, it has consistently been a top seller and is currently one of the top hoverboards available today. Razor, the company, isn’t new to electric rideables, having sold kick scooters, electric scooters, dirt bikes and other ride ons since the launch of the original Razor scooter in 2000. They are so well known that nearly every parent who has a child of school age will certainly already have heard of Razor products (and possibly even own one)! Walmart sold a limited quantity of Razor Hovertrax hoverboards for just $199-248. They sold out very quickly though so if they do something similar this year you’ll want to get online as soon as the sale starts to grab yours. Amazon were selling it for approximately $249 (some colors) for a few days over the Black Friday period. Now these were good offers, considering that the Hovertrax was normally priced around $300-$400 (depending on where you buy and which color). 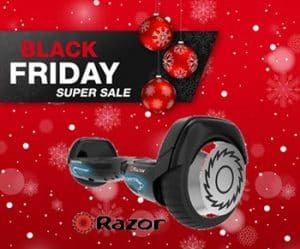 Why Choose The Razor Hovertrax 2.0 This Black Friday/Cyber Monday? Safety – it’s one of the genuine safest hoverboards on the market from a brand that is both established and reputable. It’s UL 2272 certified with UL certified battery and charger and exceeds the highest fire and electrical safety standards. It’s currently the cheapest it has ever been – if you bought this just 2 years ago you could have paid up to $100 more! One year on though it’s still one of the innovative and state of the art hoverboards on the market. The unmistakeable razor design on the wheels looks awesome and makes it stand out from the rest! A newcomer to the market in 2017 was the Gotrax range of hoverboards, and it has quickly risen to the top as one of the best hoverboard brands for kids. Scooters such as the Gotrax Hoverfly ECO was on sale for as little as $149 last year making it a top seller, and the Gotrax Hoverfly XL off road hoverboard was also a very popular buy. This year they’ve got new design Gotrax ION which kids are going to love. It has a fun futuristic look and a range of awesome colors that will make it a popular deal. Amazon will be THE marketplace to watch out for – its one of the best places to buy hoverboards due to their customer protection return policies and free shipping, Walmart and Target get in on the act for Black Friday too though so its worth checking out their deals too when the time comes. Although some deals will be in shops, most of the best hoverboard Black Friday sales are online, and frankly I prefer shopping online that crazy shopping weekend anyway! Who wants to be run over by deal seeking shoppers when you can sit in the comfort of your home in your pajamas and just buy online? A hoverboard would make a great gift for a loved one this Christmas, or why not buy one for yourself? You won’t find prices like this any other time of the year!